Offers fun-filled activities for all ages. Reel in a big one on a family-friendly Backwater Fishing Cruise on the calm waters of San Carlos Bay surrounding Sanibel, Captiva, and Pine Island that beginners, children, and seasoned anglers will enjoy. The 45’ Miss Paradise accommodates up to 49 passengers and has plenty of shade and open space to fish. For those needing assistance, the Captain and mate will help cast, reel, and even bait the hook! Catches include Cobia, Jack, Mackerel, Pompano, and Spotted Sea Trout. All equipment, bait, tackle, and license are provided. Restrooms are available. Light tackle, backcountry, tarpon, and fly-fishing private charters are also offered. Don’t forget to pack your sunscreen! The Backwater Fishing Cruise departs daily at 9 a.m. and returns at Noon. 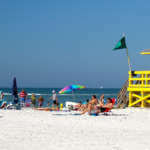 Discover miles of pristine, secluded beaches, terrific shelling, and snorkeling. Take an adventurous, narrated Shelling and Lunch Cruise to a remote barrier island only accessible by boat. During the 6-hour cruise, the Captain and Naturalist point out the area’s varied wildlife which may include dolphins, manatees, birds, sea turtles, and more. Spend the morning exploring the island, swim, snorkel or hunt for shells. Afterward, enjoy the lunch you have packed, or dine at Barnacle Phil’s on North Captiva. (Please note that lunch is not included in the price of the cruise). Guests should bring swimsuits, sunscreen, towels, and shelling bags. Adventures in Paradise will provide water, snorkels and masks, floats, beach toys, and limited beach chairs and umbrellas. Restrooms are available. The Shelling Beach & Lunch cruise is offered on Tuesday, Wednesday, Thursday, and Saturday and departs at 8:30 a.m. and returns at 2:30 p.m. Kids love the educational hands-on Sea Life Encounter boat tour. 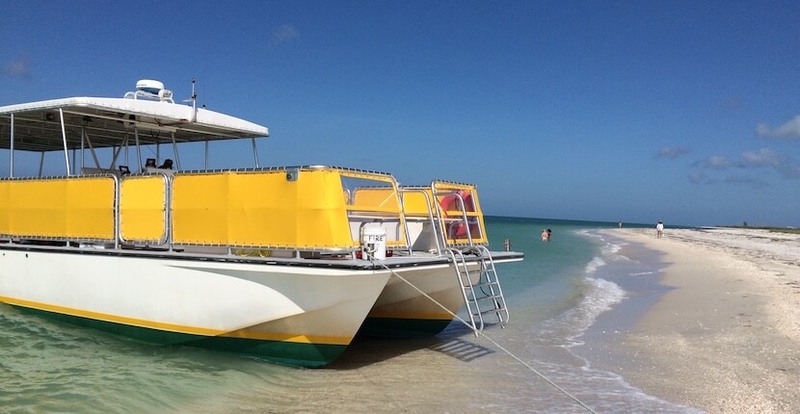 Enjoy a narrated cruise to an uninhabited island off the shores of Sanibel and Fort Myers while exploring the spoils and mangrove islands to go “scoop netting” in the seagrass with a Marine Biologist. The boat’s touch tanks offer an opportunity for children and adults to view what’s been collected. 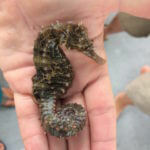 Typical catches include seahorses, puffer fish, starfish, shrimp, blowfish, and more. Afterward, the scooped sea life is placed safely back in the water. Guests should bring swimsuits, sunscreen, and beach shoes. A restroom is available. 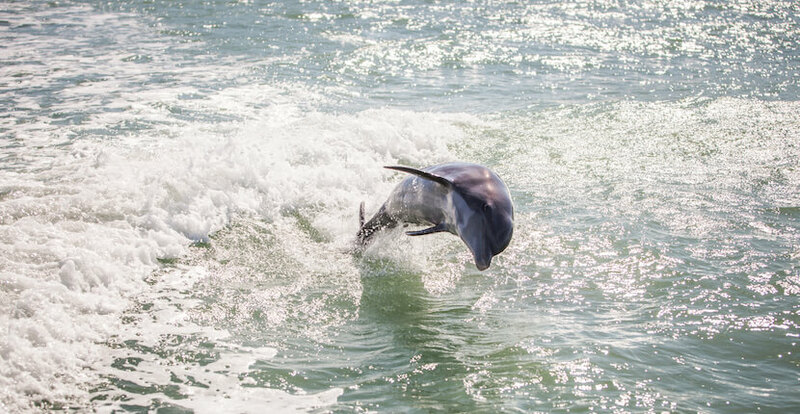 The Sea Life Encounter boat tour departs daily at 12:30 p.m. and returns at 3 p.m.
See dolphins and native wildlife on a thrilling Dolphin & Wildlife Cruise. 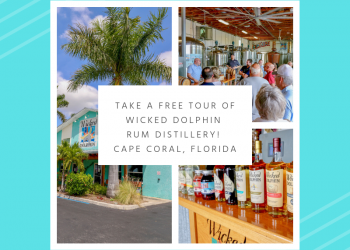 Cruise through one of the world’s largest populated waters of Bottlenose dolphins surrounding Sanibel and Captiva Islands while you listen to some tropical music and learn about the local waters and diverse wildlife with an experienced Naturalist. Typical wildlife sightings include dolphins, manatees, sea turtles, birds, and more. Complimentary soft drinks and bottled water are offered on all Dolphin & Wildlife Cruises. All vessels have restrooms on board. Morning cruise – Offered Monday, Wednesday, and Friday. Cruise departs at 10 a.m. and returns at 11:30 a.m. Afternoon cruise – Offered on Tuesday, Wednesday, Thursday, and Saturday. Cruise departs at 3:30 p.m. and returns at 5 p.m.
Sunset cruise – Offered daily. Departure time varies throughout the year depending on the time of sunset–usually 45-minutes prior to sunset. Visit their website for the complete schedule. 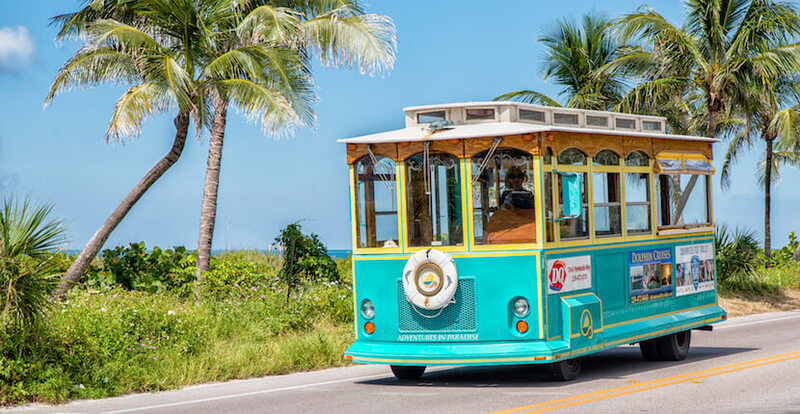 The Sanibel Trolley Tour takes guests on a narrated, comfortable, and relaxing ride to explore Sanibel Island’s historic landmarks and scenic points of interest. The 2-hour trolley tours are an excellent opportunity to get a broad overview of Sanibel. Tours are offered seasonally and depart at 9 a.m. on Tuesday and Thursday. 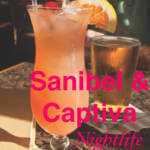 Free parking or call ahead to schedule a free trolley pick-up and return to your hotel or condo on Sanibel Island. Adventures in Paradise also offers cruises on major holidays including Valentine’s, Easter, Fourth of July, Thanksgiving, and Christmas. Private charters, trolley rentals, and wedding cruises are also available. Read the Adventures in Paradise featured blog article here! 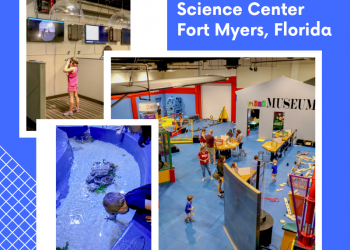 Reservations are required for all activities and can be made online or by calling 239.472.8443. 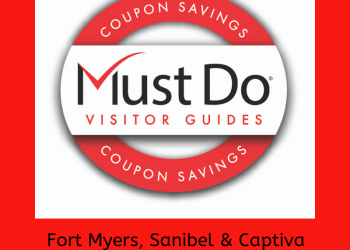 All cruises and tours depart from “G” dock at Port Sanibel Marina in Fort Myers, Florida. Present this coupon to receive up to $2.95 off a Shelling Beach & Lunch Cruise. Valid for up to six persons. Present this coupon to receive up to $2.95 off a Sea Life Encounter Excursion. Valid for up to six persons. Present this coupon to receive up to $2.95 off a Morning, Afternoon, or Sunset Dolphin & Wildlife Cruise. Valid for up to six persons.